Yang Zhang, Ph.D., is the undisputed, five-time world champion in his field. Since 2006, his lab, which develops computer algorithms to predict three-dimensional structures of protein molecules, has taken top honors at the Critical Assessment of Techniques for Protein Structure Prediction, or CASP, a biennial scientific competition to test methods developed by laboratories like Zhang’s all over the world. CASP is one of the only objective ways to test protein structure prediction methods through the process of blind prediction, and the competition serves as a barometer for progress and opportunities in the field. “You know, I’m not excited because we beat the other labs,” says Zhang of his success at the competition. “I’m more excited because we seem to have a computational program that is really useful for the biomedical community.” More than 60,000 scientists from 119 countries have registered and wait to use Zhang’s online service system to generate protein structure and function models to assist their own research studies. 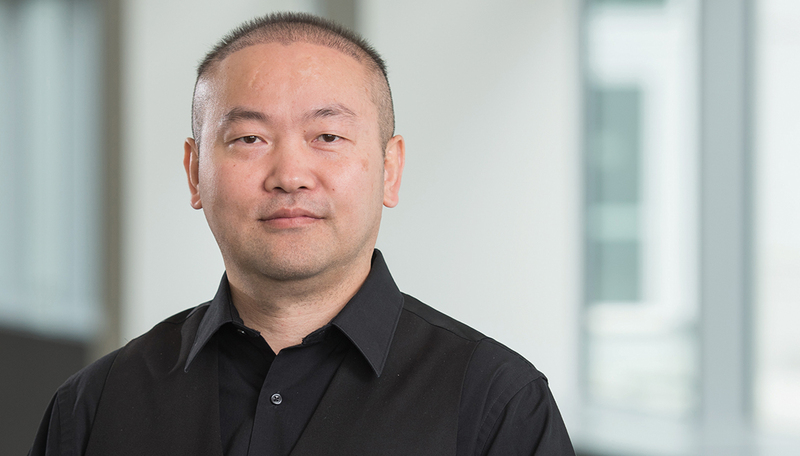 It is fitting that Zhang, a professor of computational medicine and bioinformatics and of biological chemistry, has earned recognition for his work through such an objective measuring ground. The former physicist developed an interest in biology early on in his career because its results could be observed directly, unlike the theoretical concepts of high-energy physics. Zhang, who joined the U-M faculty in 2009, says information about the shape of protein molecules can help us understand how proteins interact with their binding partners in cells. Many human diseases can be treated by designing new drugs that can activate or inhibit such interactions. Another major focus of Zhang’s lab is protein design.